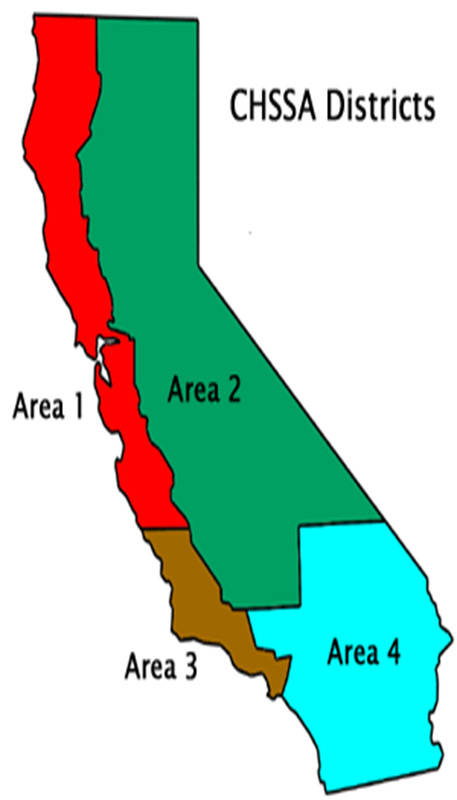 The California High School Speech Association separates the state of California into four individual areas. Each of these areas is overseen by the Area Chair. Area Chairs are elected by coaches from within their region, and represent the Area on the CHSSA Executive Council. Within each area exist individual competitive leagues that facilitate local tournaments, as well as the state qualifying tournaments. These pages will provide coaches with resource information for Areas and Leagues. First time visitors should refer to the map on the right to find their Area and visit the appropriate Area home page.